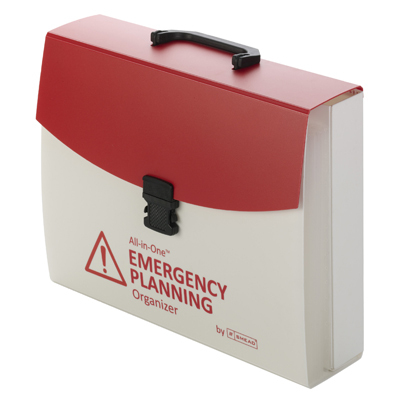 The All-in-One™ Emergency Planning Organizer provides peace of mind in the event of an evacuation due to weather or environmental conditions. 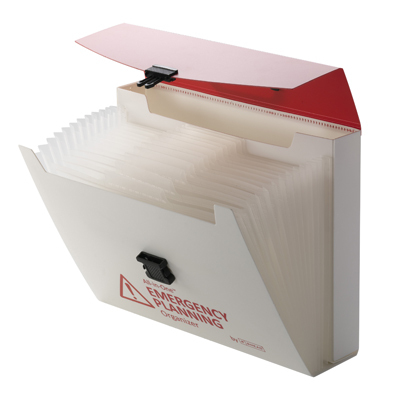 If you had 15 minutes to evacuate your home would you be able to gather up all the documents you might need to contact service providers, pay bills or file insurance claims? Most people couldn't. 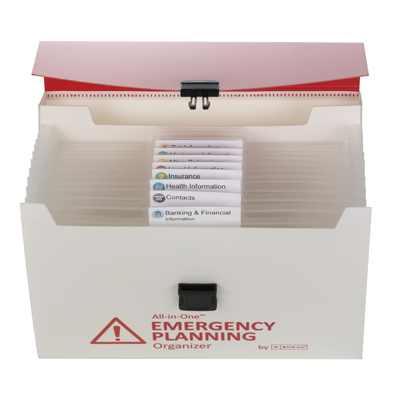 With the Emergency Planning Organizer you have all your important documents stored in one place- just grab it and go. 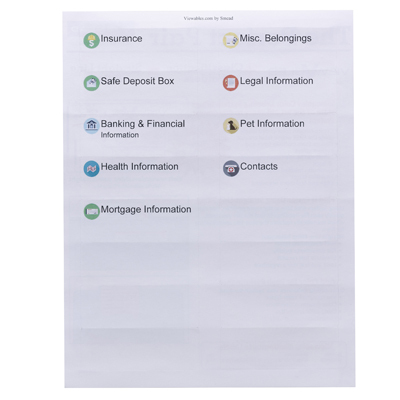 You won't have to rely on your memory, everything will be at your fingertips. 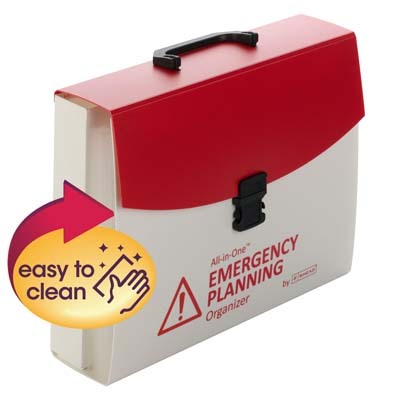 A perfect gift for a college graduate or a young couple just starting out.